Komsomolsk-on Amur Aircraft Production Association named after Gagarin (KnAAPO). One and only prototype (no. 305). 1. In 1995 aircraft was prepared by KnAAPO from Su-27SK serial number 40-02, with air refueling probe and air-to-ground missiles mock-ups. It was pure demonstrator. 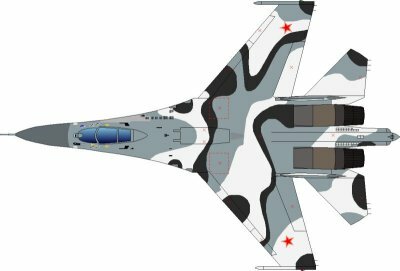 Number: CMK, camouflage: standard chinese Su-27SK (flat medium grey on upper surfaces, flat grey on lower surfaces). 2. 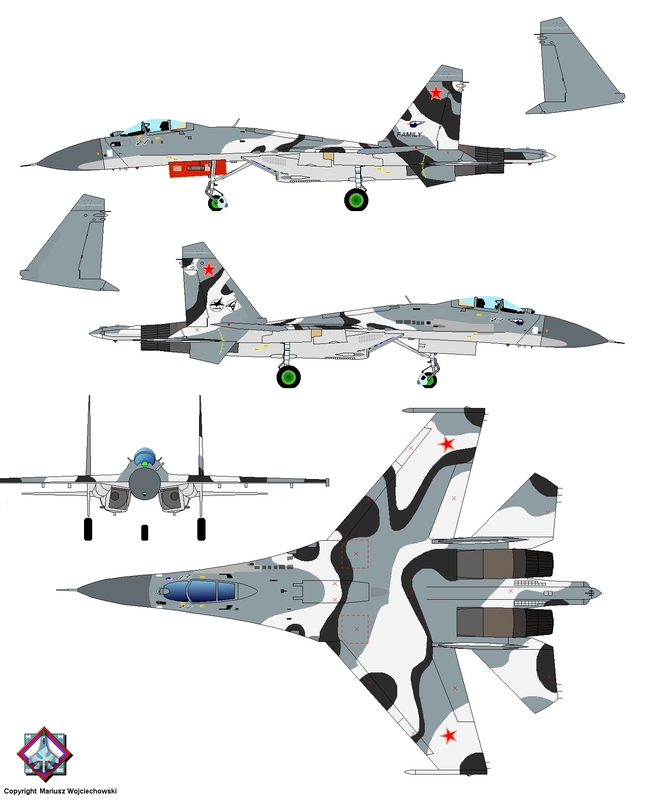 When 1997-1998 Sukhoi talks with Indonesia about selling Su-30, in 1998 aircraft was in hurry converted to demonstrator called Su-30KI, rebuilded using "chinese" upgrade kit Su-27SK (but retain air-refueling probe and OLS on right side). Aircraft with number 27 has a new camouflage - white and black waves on old grey background. First flight 06.1998, then shifted to Akhtubinsk air range for tests. Please note that aircraft has nothing in common with real Su-30 except name (it's the only one-seat aircraft with name Su-30!). When Indonesia refused to buy Sukhois, was unsuccessfuly offered to India, Vietnam and in 2001 to Malaysia. 3. In 2002 was rebuilt once again, to prototype of upgrade packet of the Su-27s, so it's name was changed to Su-27SM and for export Su-27SMK with new avionics, newest air-to-ground missiles. 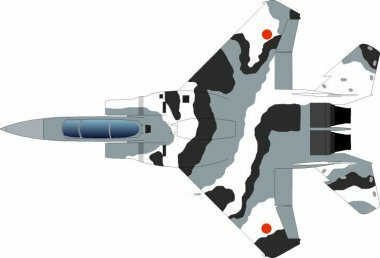 Bort number 305, camouflage as previous, but more waves on nose of the aircraft and inner surfaces of tail fins. It was presented on MAKS-2003 and many shows.